Driving and using public transport are important parts of life for many people. If you drive, you need to let the vehicle licencing agency know that you have been diagnosed with multiple sclerosis. If MS affects your ability to drive or to use public transport, there is help available. If you have a driving licence, you must tell the licensing agency that you have been diagnosed with MS as it is a 'notifiable' condition. In England, Scotland or Wales you need to tell the DVLA (Drivers and Vehicle Licensing Agency). If you live in Northern Ireland you need to inform the DVA (Driver and Vehicle Agency). They will send a questionnaire to assess any impact of MS on your driving performance, and may need to contact your doctor about your condition. If there is no medical reason to prevent driving, you will be allowed to keep your licence. Your licence may be changed to a short-term medical driving licence which will need to be renewed every three to five years. If you need to drive medium-sized vehicles such as minibuses (category C1 and D1) let the DVLA or DVA know this straight away. This is because category C1 and D1 vehicles are not automatically added to medical driving licences and there may be a delay before these vehicle types are added back on to your licence. You will also need to tell your car insurance provider about your MS as it will be a requirement in the terms and conditions of your policy. Some medications may impair your ability to drive. It is illegal to drive if you are unfit to do so because of legal or illegal drugs. These include cannabis, amphetamines, and various medicines derived from opioids, even if you have a prescription for them. There is a full list on the government website for driving and the law. You should talk to your doctor if you are unsure whether your medications might impair your driving. You may need to take your medications in a different way to allow you to continue to drive. If you need adaptations to the controls of your car, the law requires that you inform the DVLA about this. Your driving license will need to be updated with the codes specific to the type of adaptations you have installed. You may also want or need advice or driving lessons in using any new controls as some types of controls require passing specific driving tests. You should also inform the licensing agency if the impact of your MS gets worse. If you've stopped driving and given up your licence because of your MS and your symptoms improve, to the point where you can start driving again, you can contact the DVLA or DVA and ask to have your licence reinstated. The Blue Badge scheme provides parking benefits for people with a disability who travel either as a driver or a passenger. The scheme is administered by local councils. Previously known as the Forum of Mobility Centres, this is a network of independent organisations who offer information, advice and assessment to individuals who have a medical condition that which may affect the ability to drive or use a motor vehicle. The centres are listed in the map of MS services. A national UK charity that helps people in receipt of the higher rate Mobility Component of DLA (Disability Living Allowance) or PIP (Personal Independence Payment) to lease an adapted vehicle. Information on choosing, adapting and using a car from Rica, a charity providing consumer research and information for people with a disability. The law says bus and coach drivers must give reasonable assistance to disabled people. This could include helping them get on and off the bus or coach, but it doesn’t mean physically lifting passengers or heavy mobility equipment. If you will need help to get on and off a coach, you should ask for this when you book your ticket. In many areas, including London and other large cities, licensed taxis must be wheelchair accessible. In other areas, you can find out if there are wheelchair accessible taxis through your local council. Taxi drivers must not discriminate against disabled people, and can be expected to make reasonable adjustments to their service in order to help you. Train operators may require or suggest that you contact them in advance of traveling, if you are likely to need assistance. Trains should have designated wheelchair spaces. Your right to travel by train is protected by the Disabled People's Protection Policy for that operator, which must set out how they ensure your ability to travel using their trains and stations. Not all train stations are accessible for wheelchair or disabled access. You can find information on accessibility and the provision of lifts to the platform on the National Rail website. 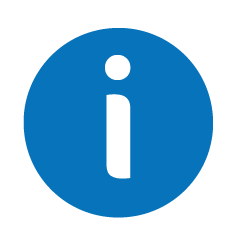 General information on traveling by train, plane, buses and coaches and taxis in and around the UK can be found on the gov.uk website. If you are disabled, you can apply for a concessionary travel pass to enable you to travel for free on bus services. The scheme is administered at a local level, which means that there can be variation between regions in terms of the eligibility criteria and the services that you can access. In many cases, if you need to have a companion with you, they can also travel free. Your companion will need to apply for their own card. In Scotland, you contact your local authority to apply for a National Entitlement Card, which will allow you free travel on most local and long distance bus services in Scotland. Transport Scotland has now amended its criteria for people with MS, following an intervention by the MS Trust. Your application for a National Entitlement Card can now be supported by a letter from your MS Nurse instead of your neurologist. The process to apply is set out on the myscot.gov travel website. In England, you apply through your local council (Find your local council in England) for a disabled person's bus pass. This can normally only be used at weekends and off-peak hours, although this varies around the country. For more information, see the government's transport and travel information in England. In Wales, contact your local authority to apply for a Concessionary Travel Pass, which will allow you free travel on bus journeys throughout Wales. The process for applying and the exact terms under which you might be eligible can be read on the Gov.wales website. These Concessionary Travel Passes are also valid on some train routes. You can see the list of routes on the Transport for Wales website. Some are not valid during school terms. In Northern Ireland, you may be able to get a half fare Smart Pass for bus or train travel, but only if you receive the mobility component of DLA or PIP, or if you have had your driving licence revoked on medical grounds. Not all transport companies are part of this scheme. You can see the list of transport companies that are linked to the concessionary scheme on the NI Government Services website. You will also find other travel information for those with limited mobility in Northern Ireland. Following an intervention by the MS Trust, Transport Scotland has now amended its criteria for people with MS applying for free bus travel. You'll never stop me travelling! Susie Twydell has always loved travelling and was determined she wasn’t going to let MS stop her. But taking her wheelchair wasn’t always straightforward. Pulling together her experiences, plus those of others around the world, she has created wheelchairworld.org, a website full of information, advice and useful links for wheelchair users planning trips to over 90 countries.